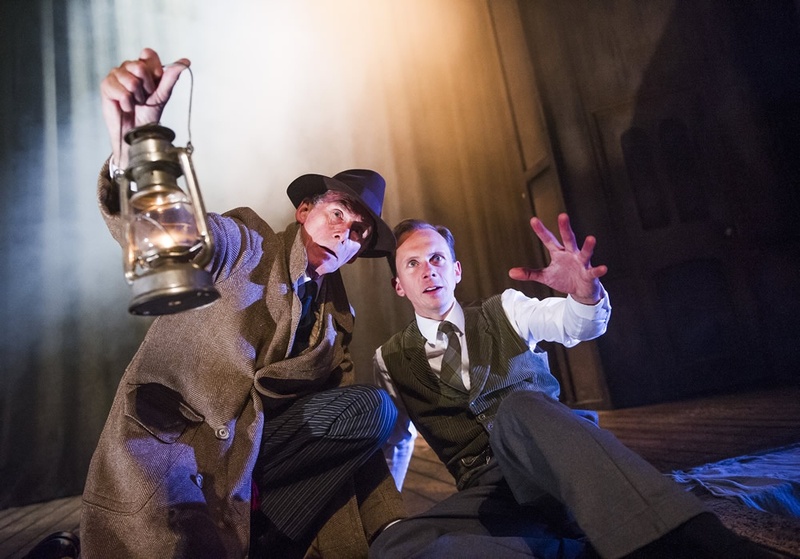 Today, the new cast of The Woman in Black take to the stage at the Fortune Theatre for the first time - in a production first, they are father and son team Christopher and Tom Godwin! 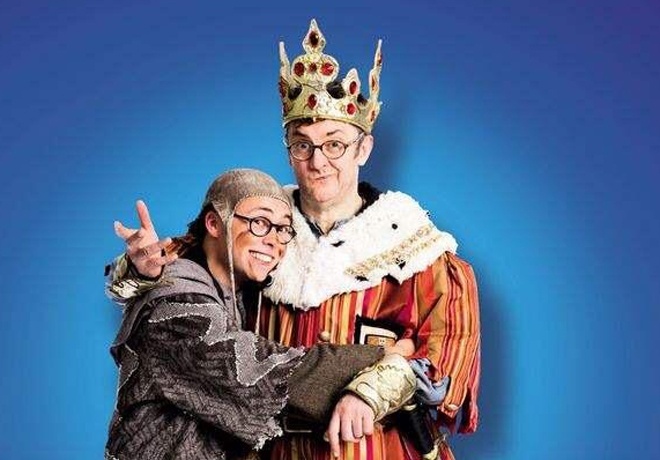 In the 2015 UK tour tour of Spamalot, Joe Tracini starred alongside his Dad Joe Pasquale. Tracini took over from long-standing cast member Todd Carty as Patsy in the musical, with his Dad playing King Arthur. You'd have had to be living under a rock for the past month to not know that award-winning actress Emma Thompson made her return to the British stage this month (after 25 years away) for ENO's Sweeney Todd at the London Coliseum. However, you might not have known that Thompson was joined by her daughter, Gaia Wise, throughout the limited run. 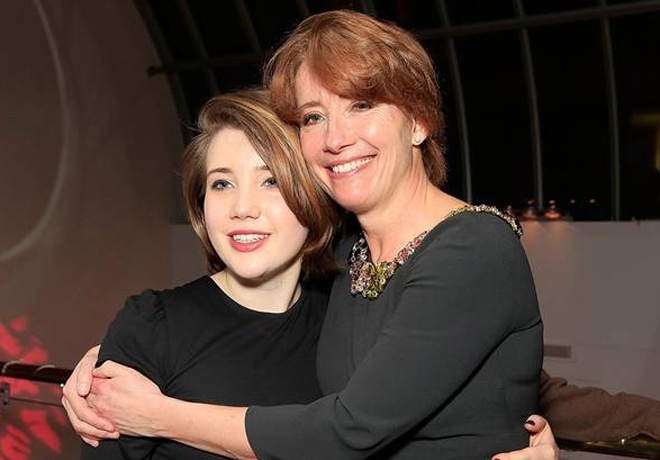 At just 15 years old Gaia made her West End debut with her Mum by her side throughout. 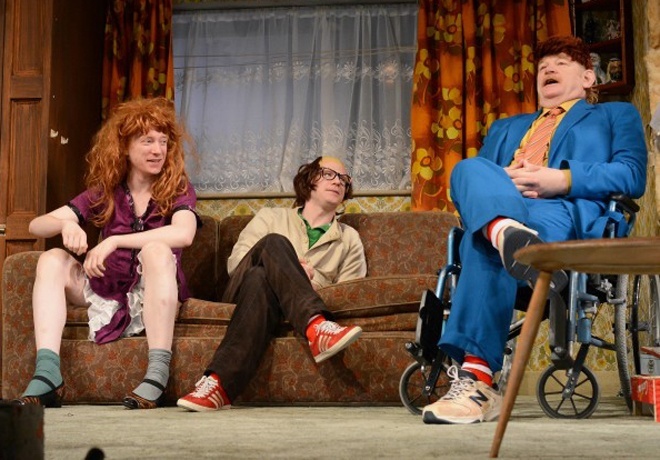 Earlier this year Irish acting dynasty, The Gleesons, united on stage in Dublin for a limited run of Enda Walsh's The Walworth Farce. You might not know it, but we guarantee you've seen at least one film that starred a Gleeson in it. Dad, Brendan, has an impressive filmography to his name, with films such as Calvary, Albert Nobbs and Harry Potter (yup, he was Mad Eye Moody) under his belt, whilst sons Domhnall (Bill Weasley, no less!) and Brian can also add Never Let Me Go, True Grit and Snow White and the Huntsman to the family's repertoire. 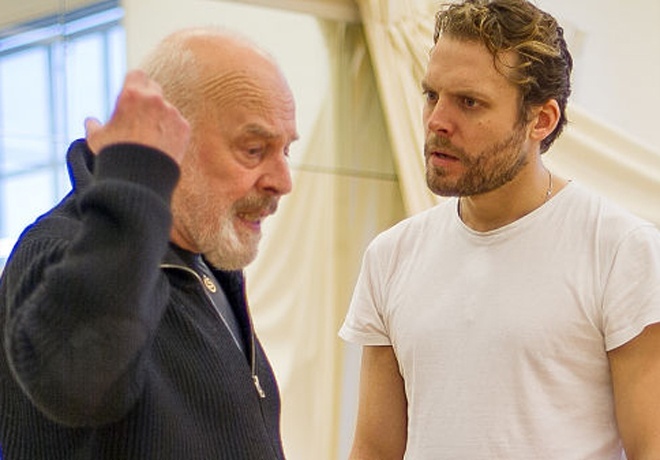 Lex Shrapnel joined his Dad, John, for a limited run of Caryl Churchill's A Number in February 2014. The play debates the issue of cloning humans and, interestingly, had cast a father and son (Timothy and Samuel West) in its previous UK production. This wasn't the first time that the pair had worked together though. They both appeared in the 2002 film K-19: The Widowmaker alongside Harrison Ford. Lex has also followed in his father's footsteps by appearing more recently on Midsomer Murders. 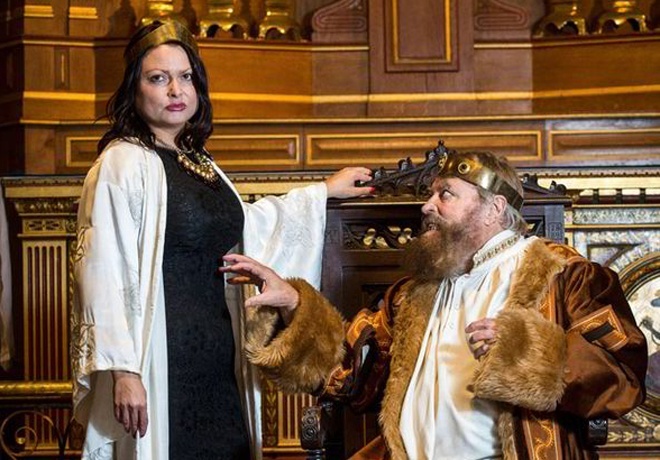 Shakespeare regular Brian Blessed joined his daughter Rosalind on stage earlier this year in Guildford Shakespeare Company's production of King Lear. Famed for his resonant voice and portrayals of famous Kings, Blessed unfortunately had to pull out a short time after the show started due to a heart condition. Rosalind and Brian had also worked together on an episode of Doctors back in 2011. 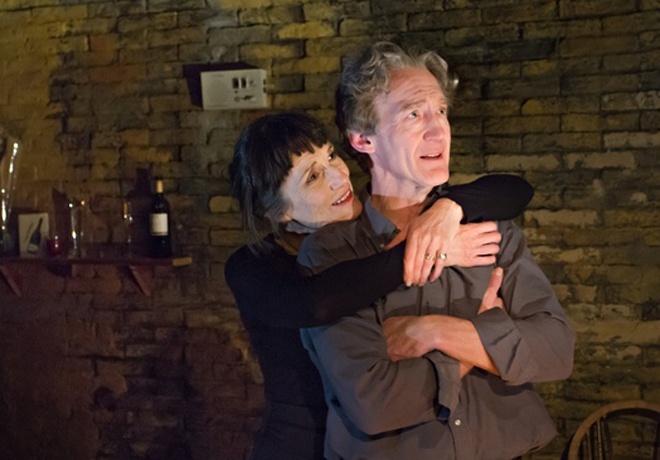 Dame Harriet Walter and husband Guy Paul joined forces earlier this year in Boa - a play written by Clara Brennan and based on a husband and wife whose marriage follows the highs and lows, love and laughter, addiction and warfare, that many long term relationships journey through. 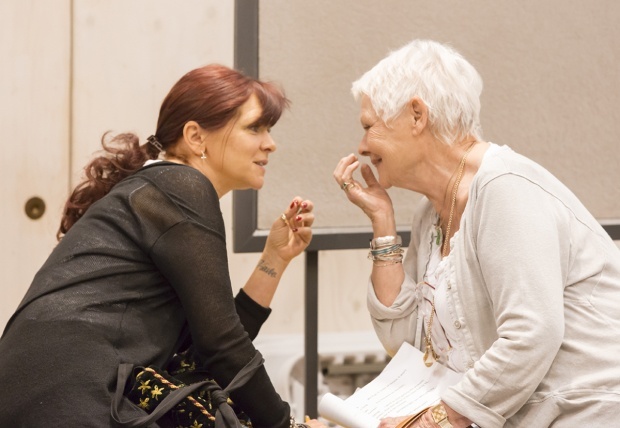 Dame Judi will tread the boards of the Donmar stage this May for the first time since 1976 - and this time in the company of her daughter, Finty Williams. The pair will star in 'polling station play' The Vote, written by James Graham, which hopes to highlight the diverse range of people who can turn simple polling stations into 'places where history is made'. Two of the four Strallen sisters - Zizi and Summer- last month joined with Anna Jane and Natalie Casey on stage for a one-off concert at the Leicester Square Theatre. These musical theatre families have an impressive list of stage credits between them, including Chicago, Mary Poppins, Hairspray, Chitty Chitty Bang Bang and The Sound of Music.